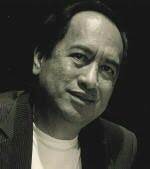 Professor Witi Tame Ihimaera-Smiler DCNZM QSM, generally known as Witi Ihimaera, is a Professor of English and Distinguished Creative Fellow in Maori Literature at the University of Auckland. His latest book is Ask the Posts of the House (2007). He has edited eight anthologies of contemporary Maori literature, including Get On The Waka (2007) and recently completed a screenplay adaptation of his novel The Matriarch (1986). He lives in Auckland.